Get Away From It All. Go Camping! 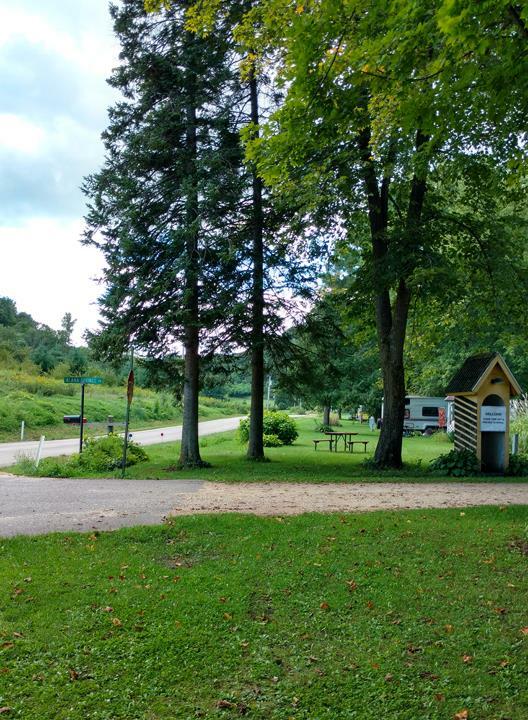 Alana Springs Campground, nestled in the beautiful hills of Richland county, serves anyone traveling to or thru Richland Center Wisconsin. We have RV and tent sites and walking trails. 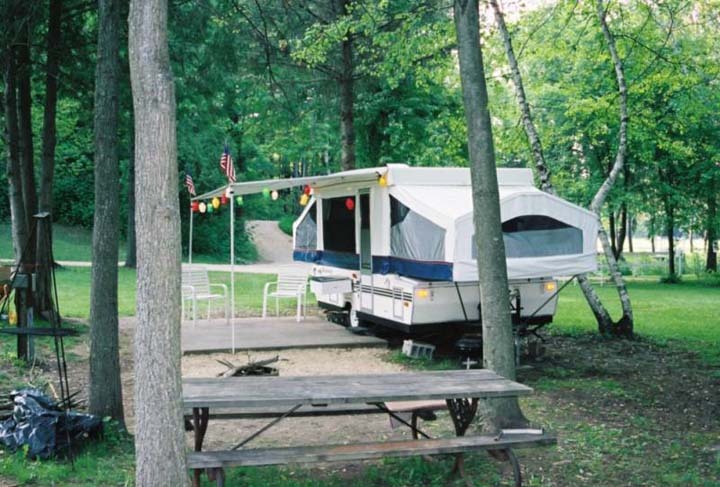 We offer a peaceful, quiet and restful campground that is also great for outdoor weddings. "Get away from it all - go camping!" Call Alana Springs Campground today to make your reservations. Established in 1955. 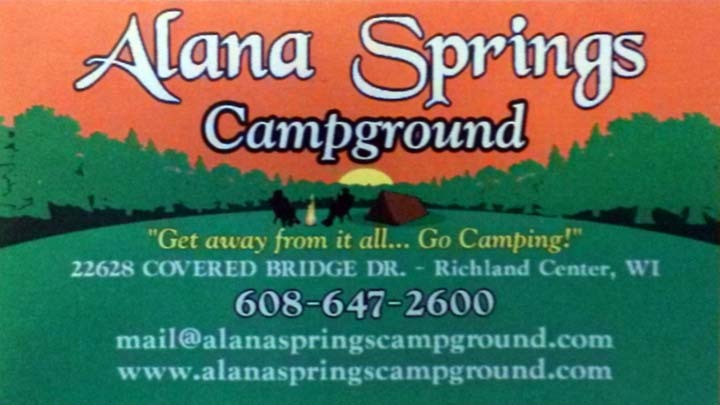 Alana Springs Campground is proud to serve our local area which includes For Anyone Traveling to or Through the Richland County Wisconsin Area. 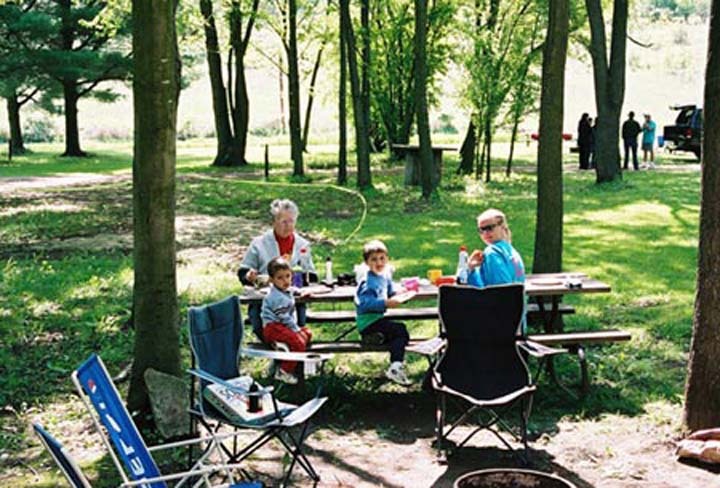 We specialize in Peaceful, Quiet and Restful Camping since 1955.